Eight people, including five children, were displaced Saturday morning after a one-alarm fire swept through their apartment, fire officials said. 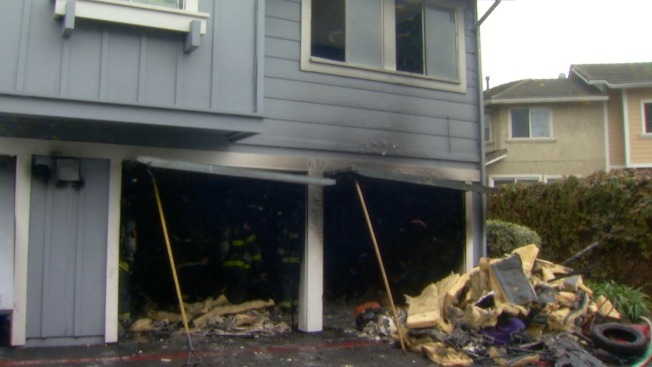 The blaze ignited in the building's lower garage, which San Jose Fire Department Capt. Brad Kloutier said was converted into a living space. Fire crews were able to knock down the flames quickly and prevent the fire from spreading to nearby homes, Kloutier said. There were no reports of any civilian or firefighter injuries.